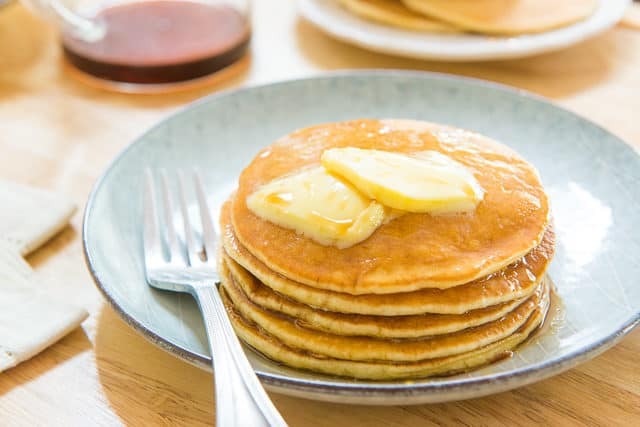 These Buttermilk Pancakes have the perfect fluffy and light texture, and delicious flavor. They’re easy to make using simple scratch ingredients! You know a recipe is perfect when you have no desire to tweak it or make any changes. These to me are the ultimate buttermilk pancakes. There are no ingredients here that are out of the ordinary, rather it’s the proportions that make the pancakes so good. The liquid and dry ingredients are balanced for a light, fluffy texture, and the buttermilk gives great flavor and tenderness to the end result. They also get an even golden color on the griddle, that looks very similar to the box-mix pancakes. 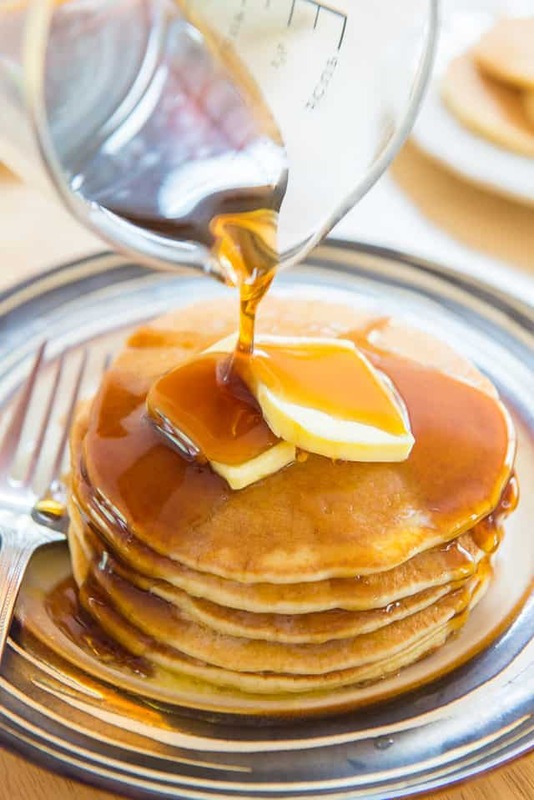 These are a classic “white” pancake made with all-purpose flour, but these Whole Wheat Pancakes have amazing flavor and texture as well, if you’re looking for something heartier. This classic pancake is best for toppings though, and can be topped with pretty much anything. There’s the classic butter and maple syrup, or you can get a little fancier with homemade Blueberry Sauce. However, liquid buttermilk works perfectly here too! It’s what I used to use, but I like having dry buttermilk on hand all the time. 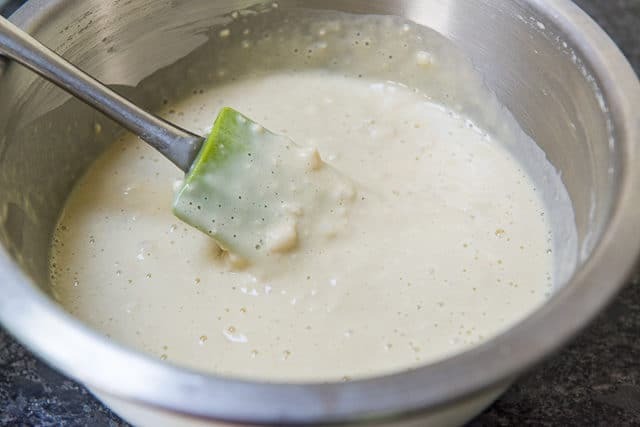 Transfer the batter to a measuring cup (or any good bowl you can pour from), and add a few tablespoons of batter for each pancake. That’s your indication to flip! Cook for 1 more minute on the other side. 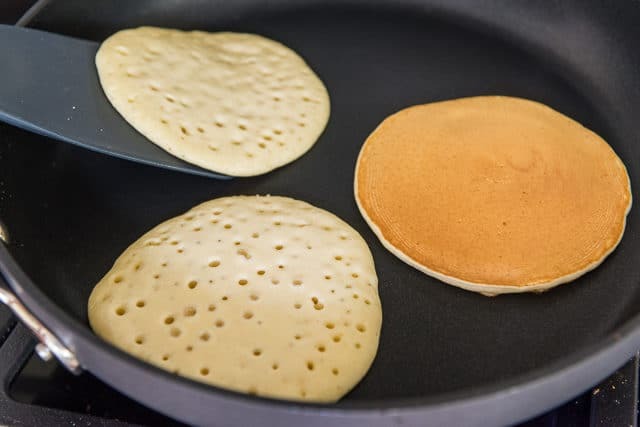 I cook the pancakes on a completely ungreased nonstick surface, as I’ve noticed it gives it a more evenly brown color, and the nonstick coating makes greasing unnecessary. However, if you want more butter flavor, feel free to grease the pan before each batch. Cinnamon Roll Pancakes, Blueberry Cornmeal Pancakes, and Carrot Cake Pancakes are some of my other favorite pancake recipes. Enjoy! 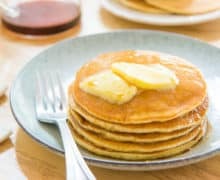 Can you freeze buttermilk pancakes? Yes, they freeze beautifully! Keep in an airtight container for up to 2 months. Can pancakes be reheated? Yes, in the microwave, oven, or in the toaster. My favorite method is microwave. Put 1 to 5 frozen pancakes on a plate and microwave for 20 seconds for 1 pancake, and 60 seconds for 5 pancakes. Times may vary depending on wattage. I have a more detailed post on How to Freeze and Reheat Pancakes on the pioneer woman’s site. Enjoy! 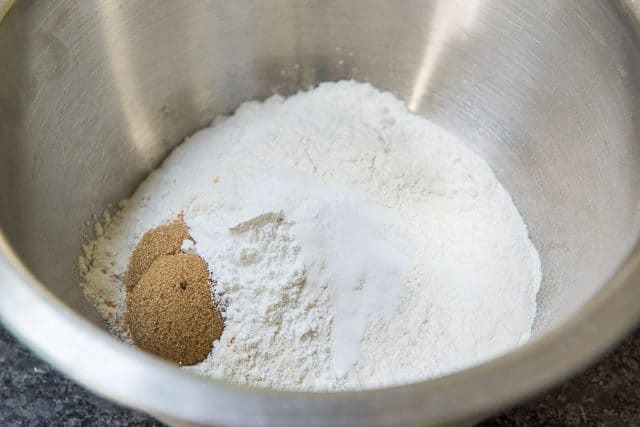 In a large bowl, whisk to combine the flour, brown sugar, baking powder, baking soda, and salt. In another bowl, whisk the eggs with the buttermilk until well combined. 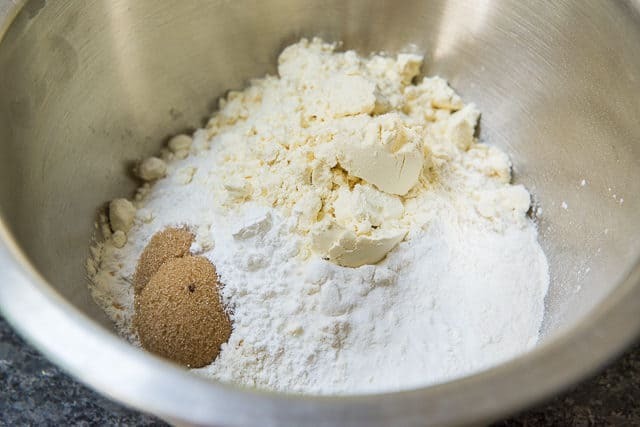 Add the wet ingredients to the dry, and stir with a spatula until no flour streaks remain, but the batter still has a few lumps here and there. Do not overmix. Transfer the batter to a measuring cup or other container for easy pouring. Heat a griddle or nonstick skillet over medium heat and pour a few tablespoons** of pancake batter onto the griddle for each pancake. Cook for a couple minutes, until you see bubbles form on top. This is your indication to flip! Cook for another minute on the other side, then repeat with the remaining batter. 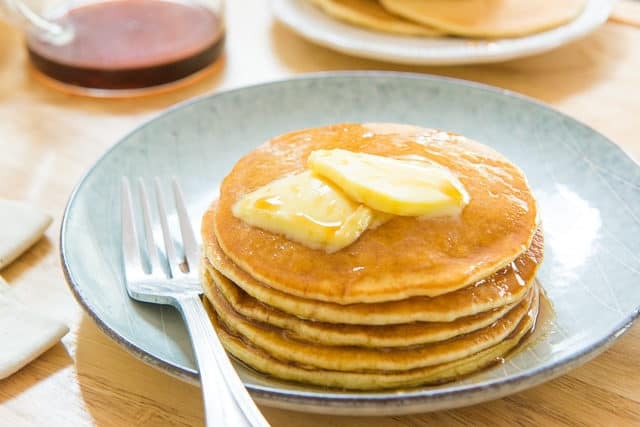 Serve the pancakes with orange honey butter or maple syrup, or whatever you desire. Enjoy! *Both liquid buttermilk and dry buttermilk powder work well here. If using dry buttermilk, mix water with the eggs, per the instructions. **You can do more or less, as desired. Make them whatever size you'd like. Post updated with new photos, writing, and tips in October 2018. Originally published August 2011. These are seriously my favorite things to eat for breakfast! Thanks for the perfect recipe! These are perfection and remind me so much of my mom’s pancakes! There is no better way to start the day! I’m making these in the morning! Perfect pancakes! I’m confused on how to use the dry buttermilk. Do you add two cups of water to the eggs and then mix with the dry ingredients? Are you using Saco brand dry buttermilk? If so, it states exactly on the carton how to do it, which is what I follow. 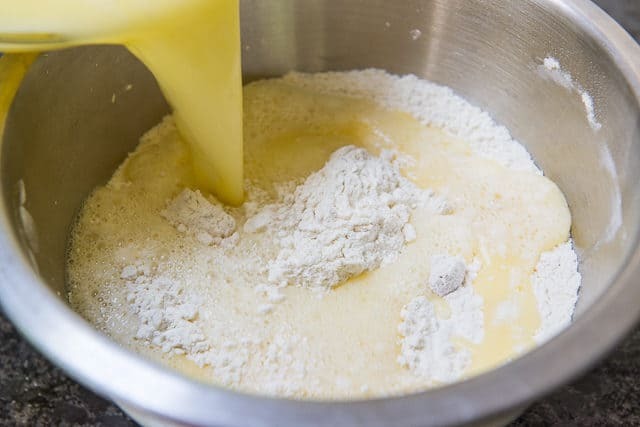 You add the buttermilk powder in with the dry ingredients, then add the water where the regular buttermilk would’ve been in the recipe (so just mix it with the eggs). Then add the wet ingredients to the dry, per the recipe. Does that make sense?